What is the White Ribbon Run? JOICFP is organizing an annual charity run event called the “WHITE RIBBON RUN (WRUN)” on March 3 and 4, 2018, in conjunction with International Women’s Day, to raise awareness of global maternal health and SRHR, women’s empowerment and gender equality. The key message of the WRUN will be “Run, for yourself and for others — Aiming for zero maternal deaths”, urging young women to become empowered and able to embrace love (compassion) for others, make their own decisions, and act for the cause. What is the White Ribbon? The White Ribbon as a symbol of maternal health is being promoted by an international network of NGOs called the White Ribbon Alliance (WRA), which was founded in 1999. White means hope and signifies death in many cultures. As the secretariat of the WRA Japan Coalition, as well as the Tokyo Liaison Office of International Planned Parenthood Federation (IPPF), JOICFP organizes the WRUN as an annual event. Event Administration Roots Sports Japan Co., Ltd.
*Participants do not have to be in Tokyo (Odaiba site) on the day of the event. 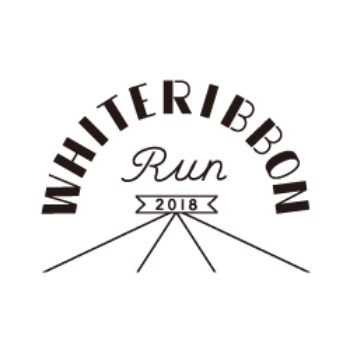 You can participate by wearing the official charity T-shirt and uploading your running photos on SNS with hashtag #whiteribbonrun. *The run will be held either on March 3 or 4, 2018. Dates, times, and venues vary for each site. All participants will be asked to wear this T-shirt on the day of the event to show solidarity and support for women. Please remember to bring and wear your T-shirt at the event to send the message “Run to empower women!”. Kwahu East District, Eastern Region is geographically complicated in that forests and plateaus are interspersed with the Volta River and tributaries running through the area. Due to such complex geographical characteristics, people in the community have trouble moving around, which is one of the reasons why pregnant women do not use health care facilities for medical check-ups and deliveries. In addition, as the quality of services offered at health care institutions significantly affects the rate that they are utilized by pregnant women, many do not have the basic medical equipment. In order to avoid the risks that may harm the health of mother and child, sphygmomanometers (blood pressure monitors), hemoglobin testing devices, and resuscitation bags are needed. JOICFP purchases and sets up primary medical equipment at the health facilities nearest to the communities, so that they may provide appropriate medical services. In Nepal, which is known as one of the poorest countries in Asia, more than 10,000 young women a year are reported to be victims of human trafficking and sold into forced prostitution in India and other countries due to the poverty. The predominance of men over women is still deeply rooted in the country, and one in five women suffers from gender-based violence (GBV). In addition, without appropriate knowledge, they are likely to undergo unwanted pregnancies and suffer from sexually transmitted diseases. Thus, a radio program has been launched that deals with sexual reproductive health issues and aims to raise awareness among as many people as possible. Youth trained as peer educators provide public education on the radio to those who are around their age. The White Ribbon Run 2019 event will be held on March 2nd and 3rd, 2019. Contact below for details. If you agree to the objective of this event, and wish to participate, please let us know. Open Mon.-Fri. 10 am to 5 pm.